Ilaria Pappalepore is senior lecturer in events and tourism in the Faculty of Architecture and the Built Environment of University of Westminster, London. Her research interests include urban tourism, cultural events, creative industries and urban regeneration. After completing her PhD on ‘Tourism development in creative, non-central areas in London’ in 2010, Ilaria worked as a researcher on a Joseph Rowntree Foundation funded project on youth leisure. Between 2010 and 2014 was also the led investigator on a IOC-funded project on the impact of London 2012 on small creative organizations in East London. 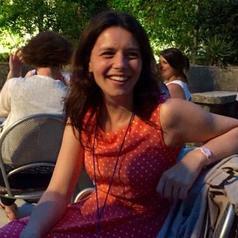 Prior to joining the University of Westminster, Ilaria worked at the Lille Development Agency, France, and later as course leader and senior lecturer in tourism at Anglia Ruskin University in Cambridge. Ilaria is currently doing research on the development of creative quarters as a result of mega-events.